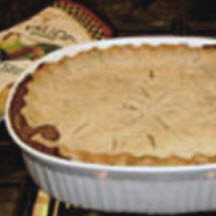 CooksRecipes has quality, kitchen-tested recipes for beef pot pies that you can count on for successful deliciousness. A homemade pot pie is one of the tastiest reasons to plan ahead and make sure you have enough leftovers from Sunday's pot roast supper to make one. 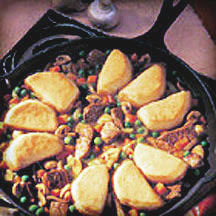 Beef pot pie made easy thanks to the convenient use of ready-to-use ingredients. 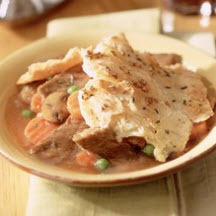 Unlike traditional recipes for beef pot pie, this one doesn't call for leftover/cooked beef for the filling, instead it uses thin strips of beef steak that are quickly stir-fried.